Seattle's new wardrobe rental service offers personalized style for the working woman, aka, the "boss lady"
Fashion in a box: Armoire delivers high-end clothing to women, without the hassle of shopping. It’s a daily struggle, trying to figure out what to wear. Whether it's hours spent rifling through your closet, scouring websites for the missing piece in your wardrobe or hustling in and out of dressing rooms, finding the right threads can be a drain on your time, energy and sanity. 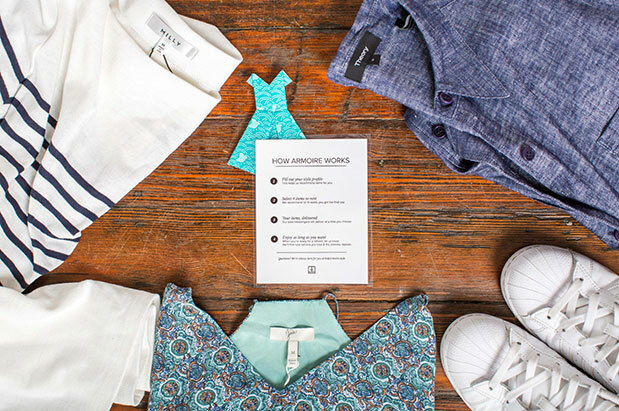 Billed as a “closet as a service," Armoire is a wardrobe rental startup offering monthly clothing subscription services, similar to box models like Birchbox or Graze. The company emerged from the MIT Accelerator Program, an entrepreneurship program designed to aid startups. The newly-formed company recently relocated to Seattle, headed by CEO Ambika Singh, whose love for clothes began at age 10 with cross-country wardrobe swaps with her cousin. How does it work? Using a combination of algorithms, current fashion trends and input from customers, Armoire offers personalized, curated closet sets for women based on their individual style preferences. Without the hassle of closet clutter and time-consuming shopping trips, Armoire offers customers access to high-end items (an average retail of $300), including shipping and maintenance costs, for the beta subscription price of $149 a month. The algorithm works with customers’ personal preferences of cuts, colors and fabrics and they receive four pieces for their wardrobe. Customers can rent the items for as long as they want, or even purchase them at deep retail discounts. Clothing choices include pieces from brands like Ministry of Supply, Brass and Of Mercer, and feature work-appropriate (but stylish) dresses, separates and coats, as well as “Friday Night” pieces and cocktail wear. Singh is indeed the model of a boss lady, with her finger on the pulse of women’s style needs in Seattle while operating her fashion start up.